during the weekend hours of Friday at 10 am to Sunday at 5 pm. NO OVERNIGHT RESERVATIONS ALLOWED FRIDAY thru SUNDAY. Reservations can be made for Sunday thru Thursday night only with a 10 am departing time Friday morning. Docking permission is always required, and all appropriate provision of NBMC Title 17 apply to any use of the Guest Dock. No operations which could be subject to a Marine Activities Permit (NBMC 71.10) are permitted anywhere in the marina without written permission form Post 291. 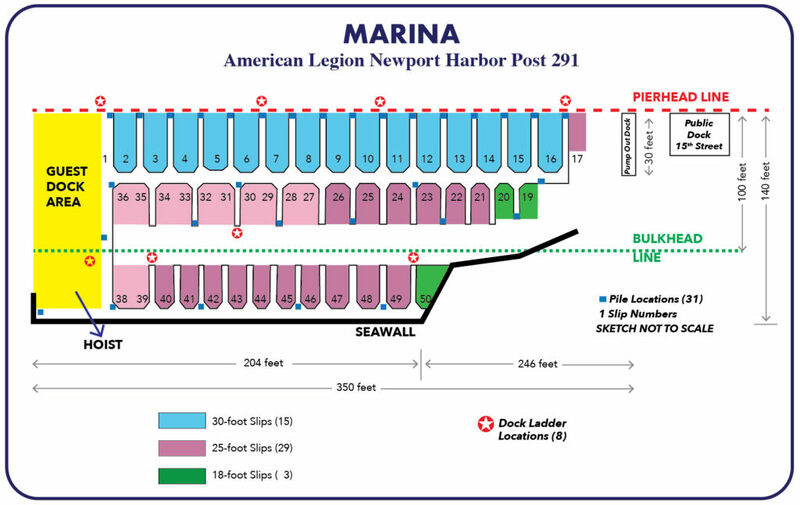 The first boat should go in as far forward as possible, leaving the remaining dock space available. On initial arrival, the skipper must immediately proceed to the Post 291 Admin Office (or to the bartender if the office is closed) to identify himself, the vessel, its length, show proof of insurance, and vessel documentation/registration. AVOID THE HOIST AREA – It is NOT part of the available guest dock space. Any American Legion, Sons of The American Legion or Auxiliary member. Reservations are required to use the guest dock for overnight stays. The Post allows up to three consecutive nights. Call the American Legion Post 291 Admin Office (9:00 – 17:00, Monday through Friday) at (949) 673-5070 to reserve dates and times. After hours assistance may not be available. If the guest dock is NOT reserved, authorized visitor may tie up on a first-come, first-served temporary basis, up to 8 hours. 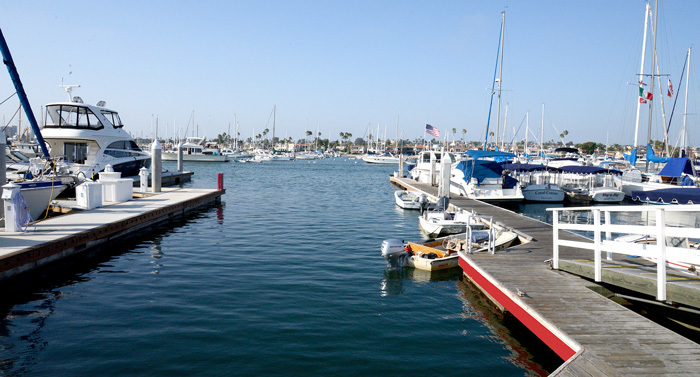 On arrival, the skipper must proceed immediately to the Post 291 Admin Office (or the bartender, if the office is closed) to verify that the guest dock is a available and to provide all required information and an expected time of departure. Overnight use of the guest dock is $1.00 per foot per night with a $25 per night minimum. Payment of docking fees must be paid on arrival. A head & shower key and gate card is available with a $100 deposit (refundable upon departure). NOTE: Exceptions to any part of this policy may be authorized by Post 291. Guest Dock Policy 01.0 Approved DECEMBER 2, 2014.